I hope, maybe, some of you will nominate Love or Lust certainly I do hope that some indie author or other has put a book out in the past year that has inspired or impressed you enough to nominate he or she. You can also, by the by, nominate multiple books/authors. We need your help in putting together a list of some of the best self-published books from the past year. Read something great? Nominate it. Written something great? Urge a fan to nominate it. The interest our list has already generated has been phenomenal; in the three days since we opened up nominations it has already become our most popular post ever. That’s great for our ego, but more importantly, it means that whichever books make the list will get the exposure they deserve. 1. The book must be self-published or published by a small, “indie-minded” house. 2. The book must have been published on or after 1 January, 2013. 3. The book must be available for purchase, in paperback or ebook format, from a large store – Amazon or Barnes & Noble. 4. Only nominations received on or before 21 April, 2014 will be considered. Haven’t read a self-published book yet? Here are some we think might be worth your consideration. I was poking around on Amazon and discovered something: A week ago today I received another 5-star review! You can, of course, read it here. It’s always nice to feel appreciated, and that the book is well liked. I’m even happier to see that it seems to really … resonate? Resonate seems a good word, we’ll use that. Yeah, it resonates with people. It’s warming to know that the characters are so endearing, or that the story itself is in some way moving or touching. I’ve seen it said recently (it was a quote from another writer posted to The Indie View’s Facebook page, if I recall correctly) that artists are kind of schizophrenic. At one and the same time we’re incredibly confident and full of pride, and nervous wrecks with absolutely no self-esteem. It seems true — on one hand we feel as though our work ought to be shared with the world, so there’s your pride and ego; on the other hand we’re absolutely convinced (well, most of us, exceptions like Anne Rice exist — I’m not a fan, don’t ask about her books, I’ve never even watched Interview With a Vampire) that our work is awful and that we will be belittled and berated, stopped in the street and spat upon … well, okay, maybe not quite that bad, but some pretty terrible things and emotions do go through our minds and flood out through our mouths. I’ve nearly got myself strangled by close friends I fretted so much ~blush~. Any of you still waiting to buy the book, Kindle edition is 99¢ right now, and the iBooks version is free. Oh, and for those waiting on a status report for Ready or Not: Delayed. Editor had some issues with her gall bladder. She’s feeling better now, but some other problems decided to come play “kick ’em while they’re down” with her so she’s still rather out of sorts. Things will hopefully get back on track soon and, with luck, we’ll at least have a release around the 1yr anniversary of Love or Lust … pray for a little luck and we might even manage a new years or Valentine’s release, but I wouldn’t suggest any holding of breath for earlier than Easter. The free Labour Day sale of Love or Lust isn’t quite going according to plan, it would seem. Kindle, I expected trouble there; it’s a known and widely discussed thing that they’re difficult to get the price knocked down to free with. Nook, that was unexpected, but not exactly surprising. IBooks … in all fairness, it is possible to cut the price to free here. The trouble with this is either a) I’ve finally encountered an Apple product that’s unintuitive or b) the function for setting up the sale is glitched. Regardless, I’ve been unable to mark down the book for the weekend there either. 3 of 6 is an annoying ratio. In any event you’re still good for Smashwords, DriveThru, and Kobo. Well, I’m still in queue for my editor’s attention on Ready or Not. The final two chapters I’m waiting for input from her before I start rewriting, because I’m not sure if I ought to totally throw them out or just parts. Færie Patrol is still waiting for me to finish with Now & Forever. At least, for the time being. It’d be one thing if I paused the latter to work on the former, but in this case I’m not stuck because of burnout or brain freeze, I’m stuck simply because I need a clean ending to book 2 before I can really get book 3 kicked off properly. Book 3 has no name yet, but it has a concept. I know what’s going to be happening in it. It, like Love or Lust, and unlike Ready or Not will have a more of an actual A plot throughout. I’ll have a page for it with a proper blurb once I’ve thought of a properly witty title for it. Well, the Now & Forever ABCs are done. Now what do I do? First off, probably not have anything daily to say anymore. I’ll probably cut back to something a couple times a week. I can’t promise I’ll have anything regularly, but I will try to. I’m, in fact, considering a rule of one post a week, and if I wind up with two or three then queuing them up to guarantee a post for the next week. Reblogs, of course, don’t count. Also on my list of ways to give myself Hell, I’ve finished the first edit run of Ready or Not and … well … I’m happy with it up to the final two chapters, the ones I wrote for CampNanoWriMo. Those are awful, I think. I’ve left them in, for now, and handed the thing over to my editor for her opinion, but odds are that those two chapters will need scrapped and a new ending written. Until this is complete, Book 3 is still “Book 3” and still non-existent. Færie Patrol is still a dream project. But I might dust it off and get back to it, maybe give myself a short vacation from Now & Forever for a little bit. Who knows. In the mean time, Love or Lust continues to sell — not as well as it did in July, but it’s selling. I really must say, thank you all who’ve bought the book and/or told your friends and family that they ought to buy the book. And thank you to any who buy the book in the future. Publishing a book by any method, traditional or indie, is a gamble; anyone who tells you they’ve the secret to what book will sell, and/or how to make sure a book sells probably will next offer you ocean-front property in Niger. That my book spend a couple of weeks on a best seller list, was a Hot New Release on Amazon for its entire eligibility timeframe … I’m awed. I hope, one day, to make writing my living — without the distractions of a day job I can write more, faster, and better, and this is a solider first step in that direction than I’d dared to hope. I’m in no danger of paying the rent every month with my book, but some months — it would seem — I can. A free monthly online magazine (also available in print for a small fee) starting on August 1st 2013 that will feature a Genre-By-Genre selection of extracts from up and coming independent authors. 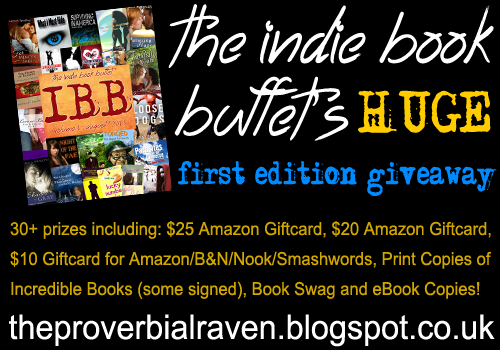 It’s a great way to read free samples of new indie books! And to kick it off the folks behind the zine are hosting a huge giveaway (in case the giant image to the right here was too subtle). A lot of awesome books will be showcased — you can, in fact, see Love or Lust‘s cover there next to the I — from a lot of indie authors. No I’ve no direct part, other than contributing some copies to the giveaway. I just think this is a pretty great idea and want to help spread the word. Really some quite remarkable writers have elected to eschew the traditional model for publishing and this is one more way to help people find them. I certainly plan to give it a look. The info is on Facebook. I’m not actually sure I’ve got an E or F.
I’m going to have to dig through my notes. I mean, I know there’re Es and Fs in the story … or within the setting, but I’m not sure they’re anyone on screen or anyone who’s been more than a recurring face in my mind that the girls pass in the school hallway. If I haven’t found anyone by the time I go to bed tonight I’ll try to get started on the Js. There’s several of them, and I want to post entries of many (most?) of them. And for those wondering, no, I actually do not have an obsession with the letter J, it just happens that the pool of names I’ve encountered in my life has a very high J-quotient, so when it’s what I’m more likely to hit. Hell, I’ve got 2 Jacobs in Love or Lust and I’m fair certain I’d never dream of naming my child Jacob! Well, I’m pretty sure, now, that I’m editing bits I wrote during November’s National Novel Writing Month event. They’re not half as bad as I remembered them being. Things are going amazingly smoothly. I know the Camp NaNoWriMo portion near the end is going to make me cry. I wasn’t happy with that while I was writing it. Hopefully a solution will present itself before I get there. Regardless — I’m done with them. No more writing challenges for me except the ones I set for myself … which generally amount to things like “have some word count before going to bed”.